Being one of the largest moving objects in your home, the garage door requires regular servicing and maintenance. 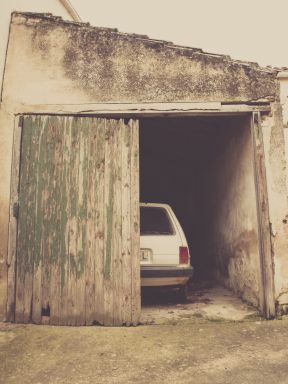 It might surprise you, but a garage door and opener will benefit from a yearly service just like your car. A recent poll on this site suggests most don’t with 80% never organising a service! Simply click on the button below or phone us directly to organise a repair or preventative service call today! DIY’ers please be aware that the spring unit is under tension at all times and should never be adjusted, except by approved, trained Garador dealers. – We always recommend that you call us to organise a visit from a qualified service person. Garador recommends that you check the operation of your garage door at least every three to six months (more regularly in extreme environments or frequent use). The effort required to manually open and to manually close thegarage door should be about the same (if door has an automatic opener, put into manual mode before testing garage door). Guide Tracks: (Rolling Garage Doors) Clean the internal sections of the guide tracks with a cloth dampened with mineral turps or methylated spirits. Polish vigorously to achieve a smooth, dirt and moisture resistant surface, allowing the Nylofelt to glide more easily. DO NOT USE GREASE OR OIL ON THE GUIDE TRACKS. (Sectional Garage Doors) Should be cleaned as per rolling door instructions, but do not required polishing of the internal guide tracks. Steel Hinges: (If fitted). Sparingly lubricate with an all purpose machine oil. Also lubricate wheel to axle bearings. Springs: (Where accessible). Wipe over with an oily rag. Automatic Garage Door Openers: If you have an automatic opener fitted to your garage door it is important that you ensure the optimum operation of your door, otherwise you may reduce the effective life of the opener, and void your opener warranty. For more information refer to the maintenance schedule in your garage door opener’s instruction handbook. Lifting Cables: (If fitted). Check for wear through by rubbing. If there is fraying or signs of corrosion contact your local approved Garador dealer. These cables are under extreme tension and should never be adjusted, except by fully trained Garador Dealers. Spring Tension: It is natural for springs to lose tension. Should the door become hard to operate or completely inoperative, contact your local Garador office, or call the Garador dealer who installed your door. To keep your garage door running well, it is recommended that your door be serviced by an experienced technician, every 12 months or earlier if required. Contact Garador for more advice on servicing. The spring unit is under tension at all times and should never be adjusted, except by approved, trained Garador dealers. No operator or other person should ever stand directly in the path of the garage door in its downward travel or walk through doorway while the garage door is moving. Always use the garage door handle to manually operate the door. If your garage door is now, or later becomes, automatically operated, any pull down rope on the garage door must be removed.